We’ve said it before and we’ll say it again, when fashion brands collaborate with beauty brands, perfection ensues. 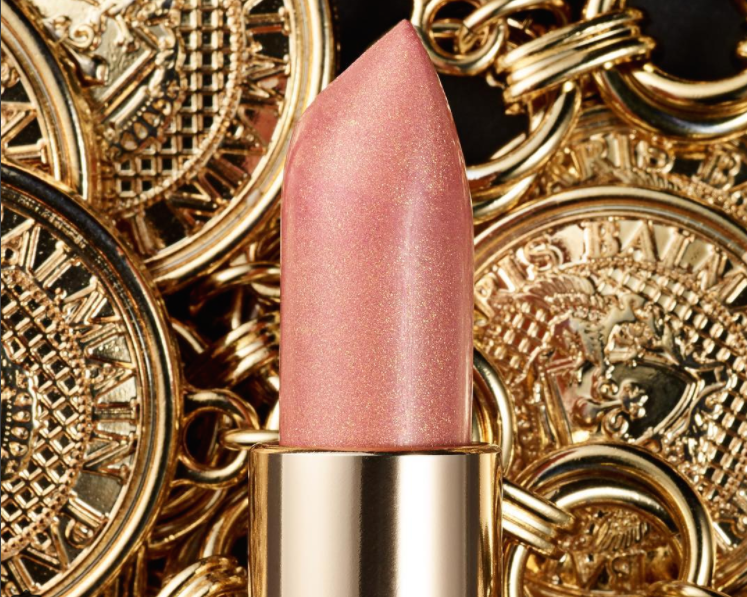 Never has this been more clear than now since we’ve gotten the first look at the Balmain and L’Oreal lipstick collaboration — it’s as dreamy as we imagined. If you’re a rose gold fiend like we are, you’ll be thrilled. When Balmain’s Creative Director Olivier Rousteing first announced the collection last spring, we were able to see a few shots of this 12-shade lipstick line. But this is the first time we’ve gotten a zoomed-in look at an individual lipstick, and we can already tell that the shade and formula are out of this world spectacular. The Balmain x L’Oreal lipstick collection will be available this coming September. Is that the most vibrant, luxurious shade of rose gold you have ever seen, or what? That is definitely going on our fall beauty wish list. This exclusive collaboration is a huge deal for both L’Oreal and Balmain. It offers L’Oreal a chance to step up into a higher caliber of prestige beauty thanks to Balmain’s high-end, luxe aesthetic and brand, and it is Balmain’s first foray into beauty. Partnering with L’Oreal means that the Balmain name will reach a wider beauty audience and strengthen their already huge following. The Balmain and L’Oreal collection is not only beneficial for the brands, but for fans of the fashion house as well. If you’re someone who has loved the Balmain brand from afar, now is your chance to dip your toes in the fancy Balmain water. We have a feeling celebs are going to be just as into this collaboration as we are. You really can’t go wrong with this epic combination and we can’t wait to make them all our own. Are you ready?